New York State Crime Stoppers in cooperation with The New York State Police, Troop K Poughkeepsie is offering a cash reward of up to $2,500 for information leading to the arrest and conviction of the person(s) responsible for the death of Sonia Centeno. Sonia Centeno was a City of Poughkeepsie resident whose body was found on August 4, 2006 in a shallow grave at a vacant farm in the Town of Lagrange east of Poughkeepsie New York. 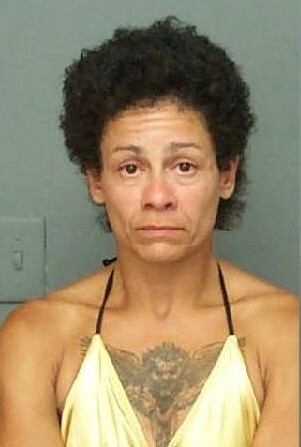 Ms. Centeno was described as a Hispanic female approx 5’3”, 117lbs, 44 years of age with a winged lion tattoo on her chest. Anyone with information is asked to contact the New York State CrimeStoppers Hotline at 1-866-313-TIPS (8477). All callers may remain anonymous. New York State Crime Stoppers is a not-for-profit organization formed to assist law enforcement throughout the state by offering rewards for information about particular crimes that will lead to arrest and conviction of the person(s) responsible.